The Precisa Premium Series 490 Industrial Balances are built for all areas of industrial weighing in which high precision is required. 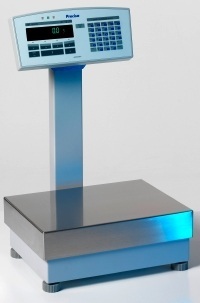 Exceptional performance features and built-in automatic self-calibration system give users accurate, approved and certified weighing results. The wide range of integrated applications make a Premium Series 490 scale the choice for any industrial weighing application.